The Deputy Minister of Public Administration & Management and Law & Order made these comments in response to a question raised by UPFA MP Kanaka Herath in the Parliament today (20). The opposition MP had inquired regarding certain reports claiming that the President and the Prime Minister has asked Sri Lanka’s Police Chief to step down within two weeks. Nalin Bandara denies these reports and said that neither the President nor the Premier has asked the IGP to tender his resignation. Meanwhile the Prime Minister’s Office has also refuted the news report claiming that the Prime Minister has asked the Inspector General of Police (IGP) to resign from office. 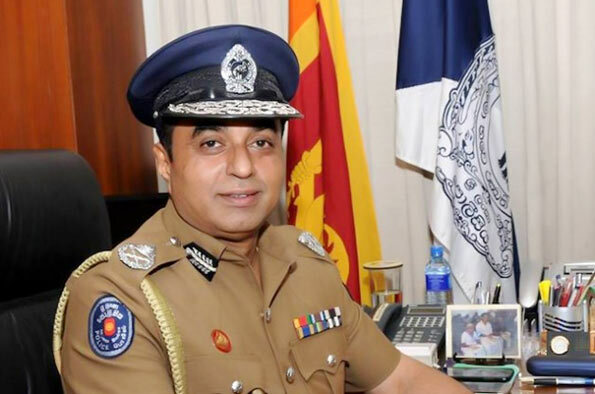 Media reports this morning had alleged that IGP Pujith Jayasundara has been requested by President Maithripala Sirisena and the Prime Minister to hand over his resignation letter within two weeks. However, the Director General of Government Information says that the PM’s Office refutes this news item carried by a certain private media channel. Yes, when I saw him Dancing in Esela PERAHARA I knew that was his final dane! Namal et al conducted Car races around Kandy Lake! We saw their backs too.